The intermediate climbing package is a great way to fully immerse yourself into alpine climbing, meet great people and mentors, and build confidence to achieve your alpine climbing goals. The Intermediate Climbing Program is where I grew from a backcountry hiker to an alpine climber. It's where I met an incredible group of friends, mentors, and folks who inspire me to visit new places and to volunteer regularly with new programs. And now it's where I spend a lot of time volunteering to help others discover the power of the outdoor experience. 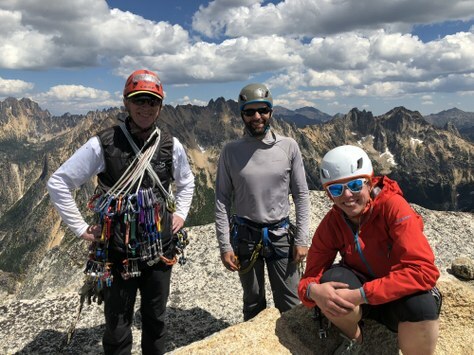 If you've been climbing with friends but want to gain more confidence for leading and planning trips safely and within your ability, this program is a great way to build those skills with others who have similar interests. 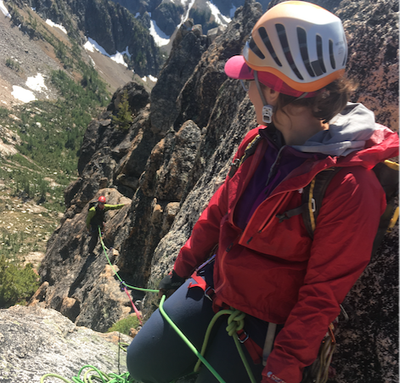 Intermediate Alpine Climbing consists of a series of modules that, combined, teach the skills to lead climb on the rock, snow, or ice typically found in the Cascade and Olympic mountains of the Pacific Northwest. In addition to climbing techniques, the course emphasizes leadership, safety, and climbing instruction. 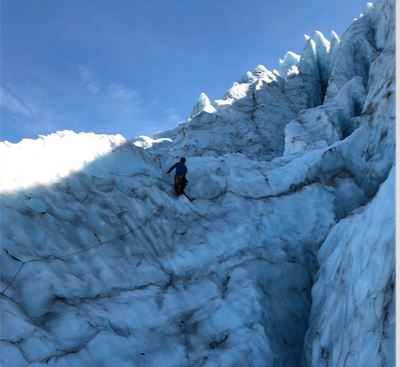 Course graduates will have the knowledge and skills to organize and lead basic-level climbs and to participate in intermediate-level alpine, rock, and ice climbs. Many intermediate students go on to successfully become climb leaders with The Mountaineers. The Seattle branch offers the Intermediate Alpine Course as a series of modules which can be taken individually or as a whole. This allows students to go at their own pace and to focus on the type of climbing they are passionate about. In addition, this also allows for new entry points for students who already have some skills so they can jump right in wherever they are, rather than having to re-learn skills they already possess. The Intermediate Climbing Course is also offered by the Everett, Kitsap, Olympia, and Tacoma branches of The Mountaineers. 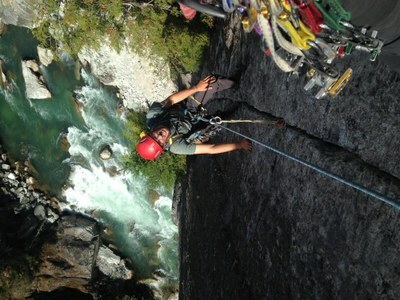 Right now we have 30 spots for intermediate alpine climbing students in our package program. This program divides these students into smaller mentor groups that work together to complete the modules and do additional group activities. If you want an immersive alpine experience this year, please consider applying for the Intermediate Climbing Package. Applications are due October 31 - apply here! Read more details about the program on the course listing or dive into even more details in the intermediate alpine climbing course handbook.